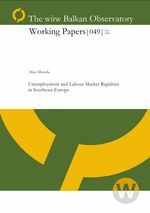 This paper presents new data that describe employment protection legislation (EPL) and other labor market institutions and policies preva iling in seven Southeast European (SEE) countries in the late 1990s and the early 2000s. The main contribution has been the construction of EPL indices for the SEE countries. The paper finds that, despite significant liberalization efforts, the SEE countries still stand out for having relatively strict EPL. However, this rigidity mainly stems from their strict legislation on temporary employment and collective dismissals, while the SEE legislation on regular employment is quite flexible. Preliminary empirical results indicate that stricter temporary employment legislation is associated with higher unemployment for women and youths as well as with lower employment and labor force participation rates.